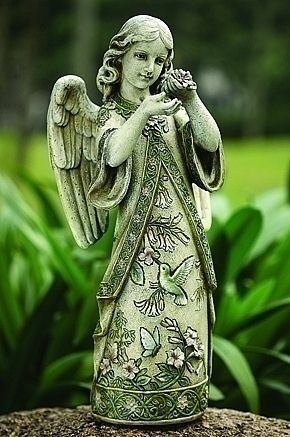 Angels are a lovely addition to set in the garden and welcome all things celestial. Here, hummingbirds adorn the gown and bodywork of this beautiful angel for the garden. Resin and stone mix. Dimensions: about 19"H x 8" x 8"